Finally, the time has come. The long awaited year-end #vacay booked months ago is approaching in a week’s time and now we’re prepping our luggage. Soft and snugly sweaters are par for the course, but the question is, what do we wear them with and more importantly, how do we look fabulous instead of looking like a shapeless lump? Don’t worry, there are ways to elevate your sweater to look chic and stay comfortable at the same time. 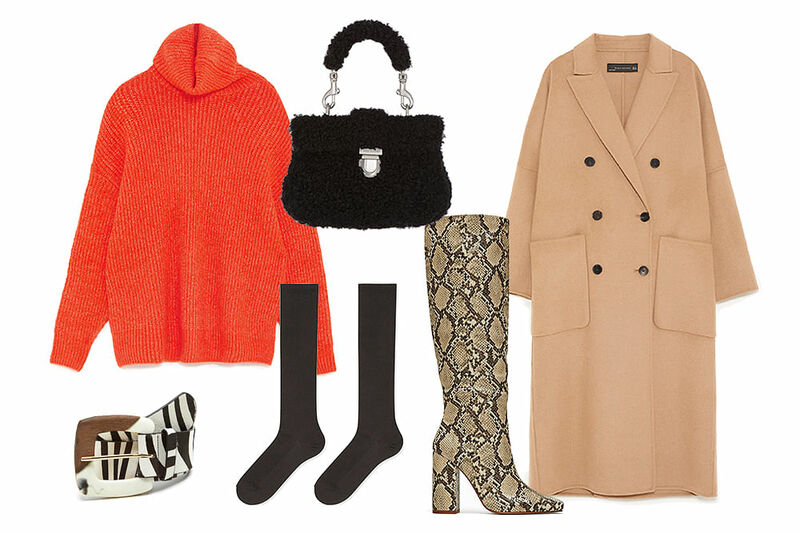 Here are some style tips for five of the most common sweaters that you’ll have in your closet. You have never looked better. Oversized pullovers, while great for girls’ with an oblong body shape, have a danger of making you look like you’re in a sack. Prevent this by accentuating your curves — cinch your waist with a belt and show it off gurl! Here, we’ve chosen a bright orange oversized pullover that’s so huge, you can work it as a sweater dress. Keep your limbs warm by pulling on a pair of Uniqlo’s heat tech high socks before you slip into a pair of knee-high boots. Tip: Let your pullover shine by keeping the hues of your accessories muted. 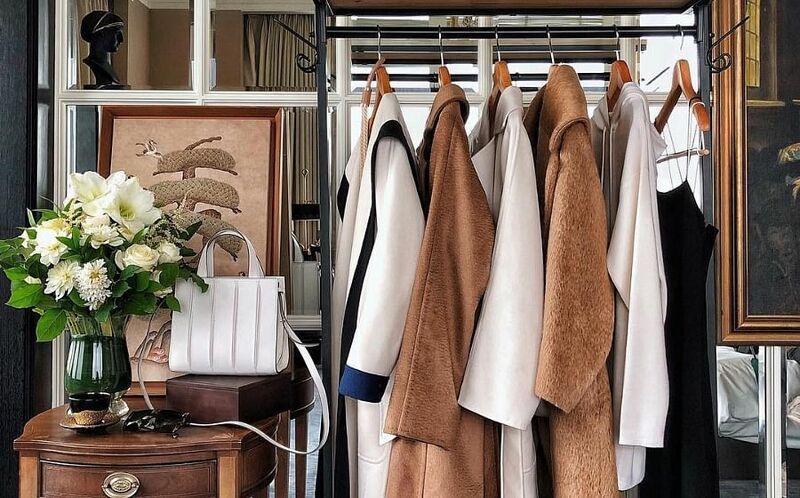 Throw on a camel coat for extra class. For girls who sport broader shoulders, V-neck sweaters are your best friends. The inverted triangle collar will create a downward visual, tapering and directing the focal point to your waist and hips instead of your shoulders. Pair a stylish red sweater with a flare midi skirt in order to create a fuller bottom. 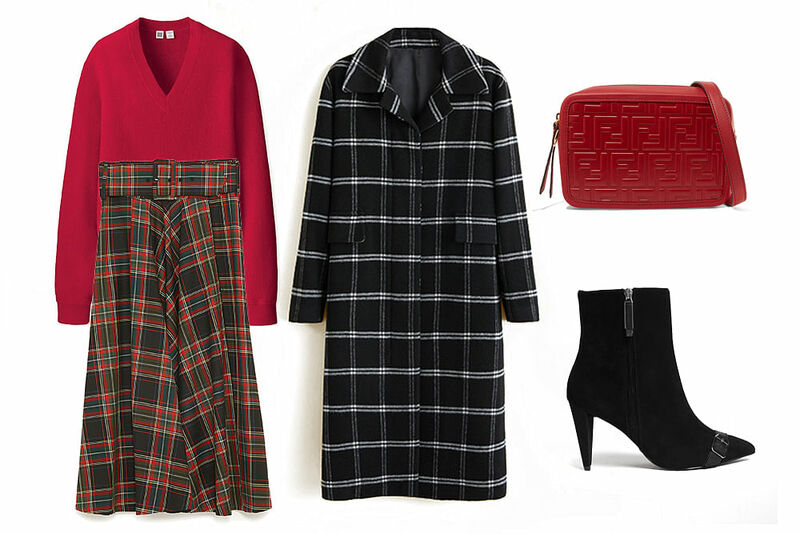 Finish the look with a pair of black booties, an embossed crossbody bag and a sharp checkered coat for a preppy vibe. Pear-shaped individuals are usually self-conscious about their wider bottoms and hips. 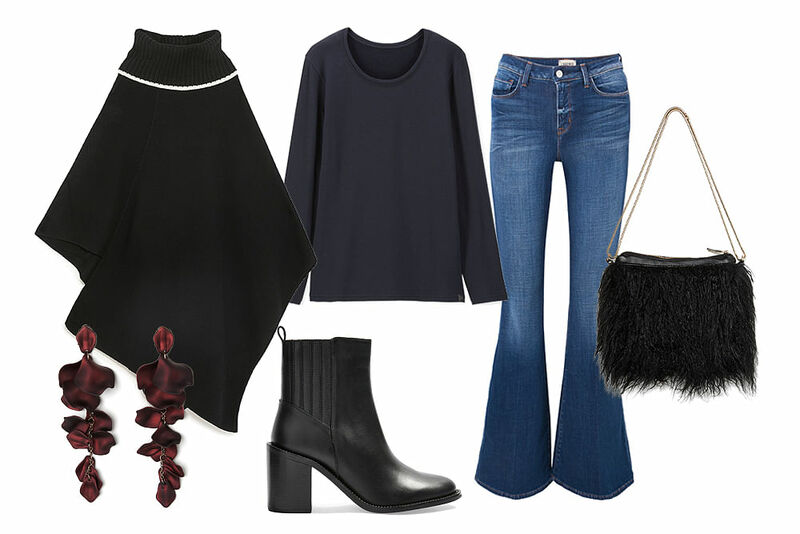 To cover these up, go for a poncho as your sweater option — the bouffant, oversized detail will conceal the parts you wish to hide. We recommend wearing a Heattech pullover underneath, a pair of flared jeans and some leather kicks to keep yourself extra warm. Big hips, what? We won’t kiss and tell. Turtle or cowl neck pullovers are perfect for Apple-figured girls — the textured neckline will draw attention away your waist. Go for a piece in black that’ll make you appear slimmer. Don it over a flowy dress that provides ease of movement and pull on a leather jacket for some sass. But make sure the hemline of your jacket does not fall right at your waist. Those who are blessed with an hourglass figure should not be drowning your silhouette with oversized sweaters. Instead, go for a piece that is figure-hugging and sports a peplum detail — the cinched waist detail will flatter your figure more. 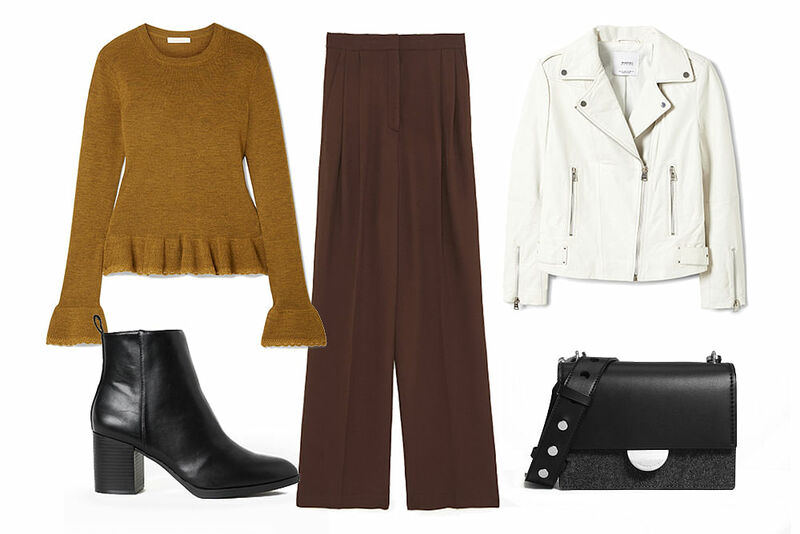 Also, choose a cropped leather jacket to add some edge and to avoid covering up your curves. 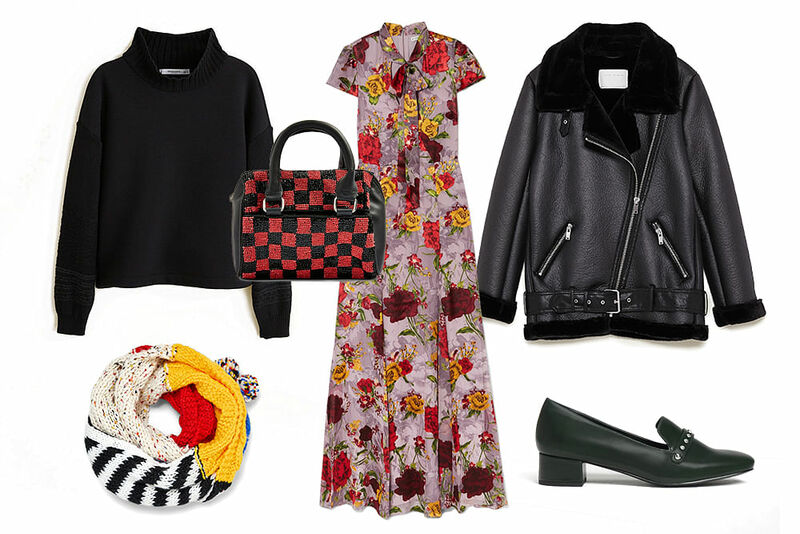 Complete the look with versatile, black accessories.